Santa’s Village is a place for the whole family to have fun! We’ve had so many great times when we went; full of fun and laughs and making amazing memories! There are so many fun rides that everyone will enjoy, like the Yule Log Ride and Chimney Drop. You can even meet Santa and his reindeer and enjoy the Water Park in the summer along with so much more! When you get a little hungry from all fun you’re having make sure to purchase some of the delicious food they have for sale! Yum! 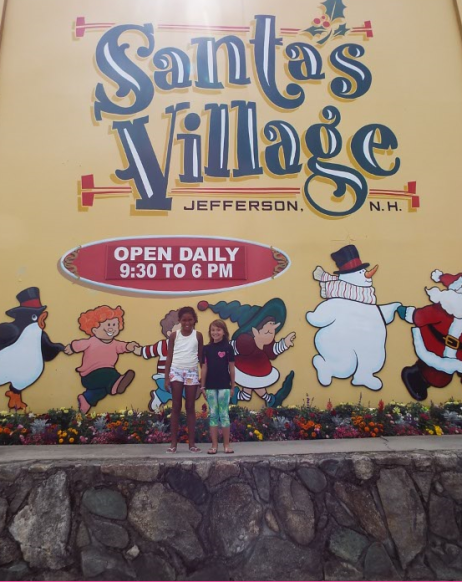 My family has LOVED Santa’s Village all the time that we went and I hope you do too! Starting May 26th-June 10th Story Land opens for weekends and they’re guest appreciation days so you can enjoy 5$ off! They open daily starting June 16th. You can get ticket info and times HERE! 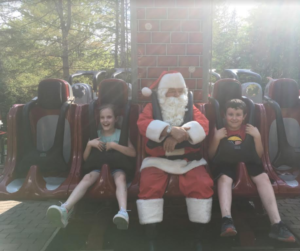 Make sure to put Visit Santa’s Village on your summer list of things to do! It will make your family happy and bring you back to the great memories from when you were a kid!